Analyze unknown wireless protocols of various IoT devices with the help of this comprehensive and extremely powerful piece of software. 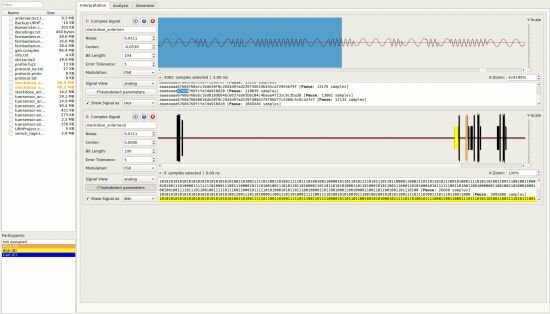 Universal Radio Hacker is a fascinating, cross-platform application (also available for macOS and Linux) which allows you to accurately investigate unknown, "in the wild" wireless protocols of most IoT devices. Of course, before we dive even deeper into details, it’s worth noting that getting this utility up and running is just part of the process, as you also need an SDR, short for software defined radio. To put it as simple as possible, Universal Radio Hacker acts as a comprehensive interface between you and your SDR device. To ensure that you start off as easily as possible, we recommend you check out the official user guide in PDF format and the official Wiki page on the utility’s GitHub repository for more information on all the supported devices. There’s also a very useful YouTube quick-guide at the end of this review, which is also worth checking out. That said, here’s a list of some of the features that should get you interested in this utility. For starters, it comes with support for some of the most common SDRs, such as the HackRF One or the SDRplay RSP2pro, for example. As expected, it’s also very savvy when it comes to helping you reverse engineer wireless protocols. It sports easy demodulation for a wide array of signals, customizable decoding to crack advanced encodings such as CC1101 data whitening, fuzzy component search, support for modulation, and it also provides you with the possibility to assign labels for easy protocol understanding. In short, it’s quite advanced when it comes to getting the data out of raw protocols, analyzing the included complexities, and recording and sending signals as well. Best of all, it’s not as difficult to use as you might imagine. The interface is plain with little in terms of eye candy, however, the overall functionality is top notch. There are four main, self-explanatory tab sections which you can readily access at a moment’s notice like Interpretation, Analysis, Generator, and Simulator. All other relevant features (Spectrum Analyzer, Signal Recorder, Protocol Sniffer, and Decoder) are all accessible from the File and Edit menu, respectively.